What is a tamper tool (and why I think you absolutely need one). When to use a tamper and when you don't really need it. My top 5 picks for blenders with tampers. In a hurry? Take a look at some of these blenders below. Or if you want to learn more then keep reading! ​What is a Tamper Tool? How Do I Use a Tamper? Do You Need a Tamper? A tamper tool is a device that pushes ingredients into the spinning blades of a blender during a given blending cycle. Below is a photo of my Vitamix tamper. The tamper was invented because even the blenders with the strongest motors cannot always create a vortex without help. When you turn a blender on, the ingredients sometimes get pushed off to the sides where the blades can no longer come in contact with them. When a vortex occurs, the spinning momentum of all the ingredients continuously draws everything towards the blades. The above photo is my Vitamix blender when it has a perfect vortex going. As you can see, the momentum of the ingredients along with the rotation of the motor is drawing everything in towards the center. When you get the perfect vortex on a high speed, the final result is always silky smooth. If the ingredients are especially tough or oddly shaped, the tamper comes in great handy to achieve this. Otherwise, they could end up just swirling around or getting stuck to the sides. There are a few different tamper designs, the most common being the "plunger" style that you'll see on a Vitamix. As you start the blending cycle, you insert the plunger from the top and push the ingredients into the blades. Depending on the blend you're doing, you may just need to do a few plunges and let the blender develop a nice vortex. Other blends may require that you use the tamper throughout the blending cycle to really ensure that all the ingredients are making their way to the blades. There is another type of tampering device from Blendtec named the "Twister Jar". Watch the video below to see it in action. The way it works is by scraping the contents off the side of the blender and pushing it back to the center. It's a slightly different take on the plunger style tamper, but it's extremely effective, especially when you combine it with the high horsepower that Blendtec's have. As someone who owns multiple blenders, I feel uniquely qualified to answer this question. The short answer is that you absolutely do not need a tamper. However, if you're going to only own one blender, it's totally worth having one. The truth is, I tend to use my Nutribullet when I'm making a basic frozen fruit smoothie. But when I need to make a flour, nut butter or any recipe that has a lot of solid food, you better bet I'm reaching for my Vitamix and the tamper. See Also: What's the Best Nutribullet for Frozen Fruit? This is my top pick for a blender with a tamper tool. That's because the Vitamix 750 will be the last blender you'll buy for a very long time. Whether you're making large batches, small batches, hot soups, nut butters or anything else -- the 750 will literally do it all without fail. The tamper will ensure that you get that nice vortex every time and aren't stuck stopping the cycle to scrape things off of the sides. It's even got several pre-programmed options so you can do the old "set it and forget it". Additionally, I'm a huge fan of the 7-year Vitamix warranty. In my experience, customer service is phenomenal and they don't hassle you about needing a repair. This blender will do almost any blending job you can imagine. Low-profile container makes it easy to fit under cabinets or in small spaces. Easy to clean with cleaning function. Will last you for years and years to come. 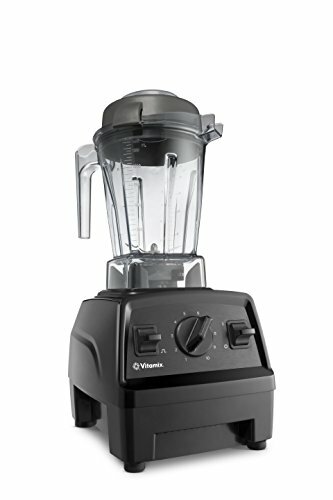 If the Vitamix 750 series is too much blender for you, than the E310 Explorian is an awesome alternative. It's a lower-tier model than the 750, but is most likely all you need if you're single or have a small family. It comes with a slightly shorter standard warranty (5-years), but that's still a really long time. The Explorian lacks the pre-programmed functions that the 750 has, but you really don't need those. It's a great no frills option if you want a powerful convenient blender with a tamper. Runs less expensive than the bigger Vitamix models. Still able to tackle any job while being less bulky. Blending jar is dishwasher safe. Smaller container not ideal for serving multiple people. For years, Vitamix was the only blender with a tamper. Blendtec even mocked them in their commercials, referring to the tool as a "nasty plunger". While it's true that Blendtec's are extremely powerful (3-peak HP motors or more), ingredients sometimes do get stuck on the sides. I recall one time trying to make cookie dough and having to do multiple blend cycles because I had to stop and adjust the ingredients to make sure they were hitting the blades. Luckily, Blendtec Total Blender now has a Twister Jar option and it's extremely effective. In the demonstrations I've seen, it does the job of the traditional plunger tamper even quicker. It makes nut butters, banana ice cream and thick hummus dips without breaking a sweat. And of course, Blendtec's also have an awesome warranty, just like Vitamix. This unit comes standard with 8 years of protection. Twister Jar is extremely effective - perhaps more so than a traditional tamper. Comes with a solid 8-year warranty. It is is extremely powerful with more HP than any Vitamix. Easy to use interface with a bunch of pre-programmed options. Mini Twister Jar is much smaller than the regular Blendtec container. You're paying for a separate piece even though it's "bundled". This mini blender and tamper combo is a great choice for a a single person. especially if they're living in an apartment. It's got variable speed control, a some pre-set settings, a pulse, a quiet shield and of course a tamper. The jar is only 32 oz so it's easy to store when not in use or slide under a cabinet. You might also be surprised to learn that it comes with a five-year limited warranty -- as long as the Vitamix Explorian! I can't personally vouch for their warranty support as I can for Vitamix and Blendtec. 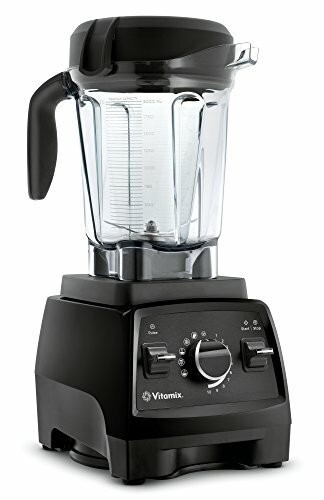 A great alternative to one of the big blender brands. Quiet shield so you won't disturb your neighbors when you're blending. 5-year warranty at an excellent price. Small jar not ideal for multiple people. 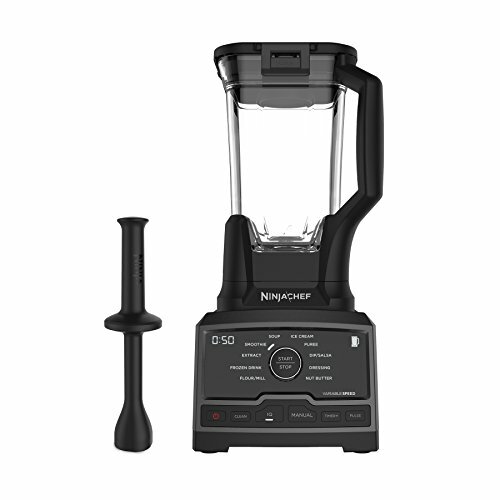 The Ninja Chef CT805 is designed completely differently than the other Ninja blenders. Rather than having multiple sets of blades throughout, it only has one set of blades at the base, similar to a Vitamix or a Blentec. Of course, it also comes with a tamper! 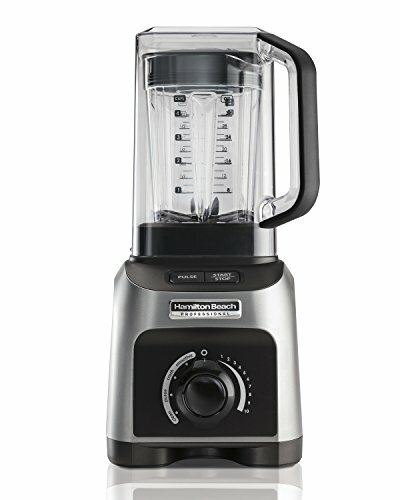 It's got settings to do everything the big boy blenders can do: salsa, ice creams, dips, dressings, frozen soups and more. 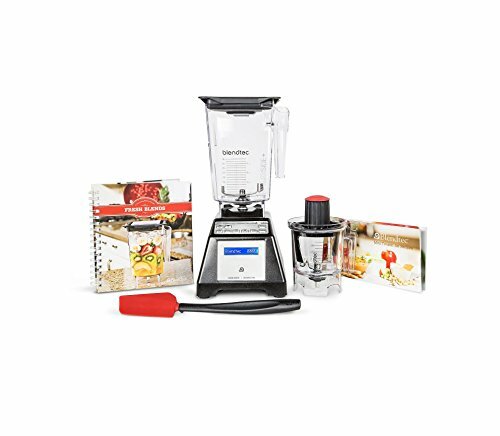 The warranty isn't that great, but it's still a nice option for those who can't afford a Vitamix or Blendtec. Runs less expensive than Vitamix or Blendtec blenders. High-tech electronic interface with variable speeds and pre-programmed settings. Will meet and exceed the needs of the average blender user. Short warranty - comes standard with 1-year limited. Warranty requires shipping fees for repairs and replacement. If you want a versatile blender that will never jam up, getting a tamper is a must. Tampers used to be pretty exclusive items that you can only get in a Vitamix, but now you have a wide variety of options. While I would personally prefer to go for the Vitamix 750 or E310 Explorian, the others on this list are also fine candidates. The final choice really depends on your budget, what you’d like to blend and how often you’ll be using your machine.